Der Artikel Vince Mendoza (geb. 1961): Jazzpana - Kulturspiegel Edition wurde in den Warenkorb gelegt. 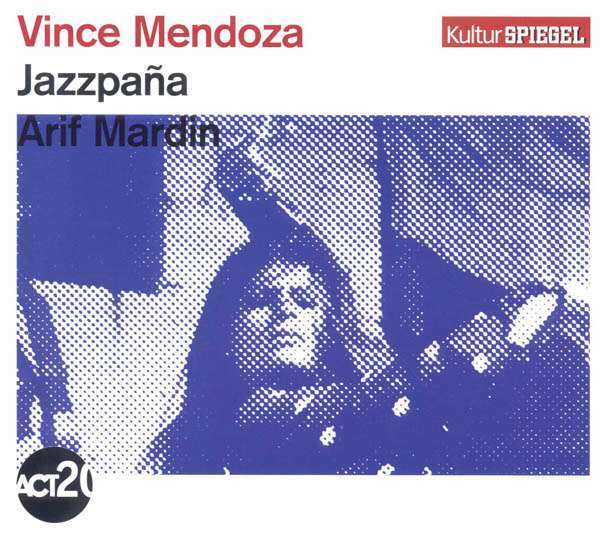 "JAZZPAÑA, the most ambitious recording project ever undertaken by Siggi Loch in a most active and extensive music business career, fuses American jazz and the flamenco music of Andalusia in a most imaginative, adventurous, and inspirational way. JAZZPAÑA is a showcase for the special compositional and arranging skills af Arif Mardin and Vince Mendoza, for the impeccable and dynamic section work of the WDR Big Band, for the exotic, extrovert artistry of Ramon El Portugues and Los Jovenes Flamencos, and for the assured and articulate playing of top jazz guest players Michael Brecker, Al Di Meola, Steve Khan, and Peter Erskine. 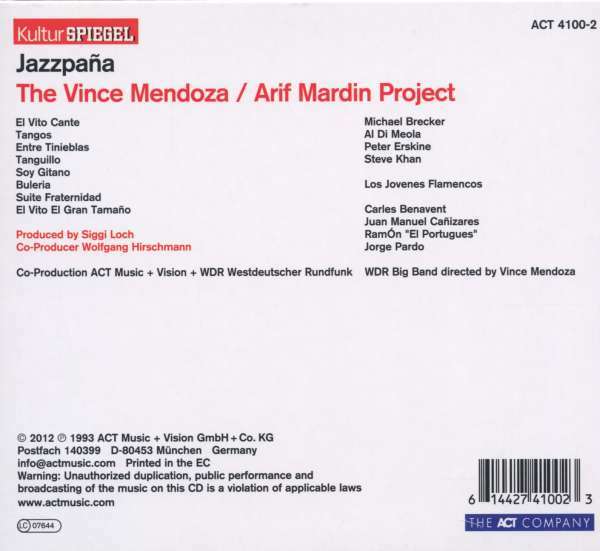 Furthermore, JAZZPAÑA reveals Vince Mendoza as a composer and arranger of immense talent and imagination. This music inevitably prompts comparism with the classic Gill Evans - Miles Davis collaboration of 1959, Sketches of Spain. ...but Mendoza has his own individual identity, approaching the task of composing and arranging rather like a painter creating a landscape of canvas." Nominated for two GRAMMY AWARDS in 1994.